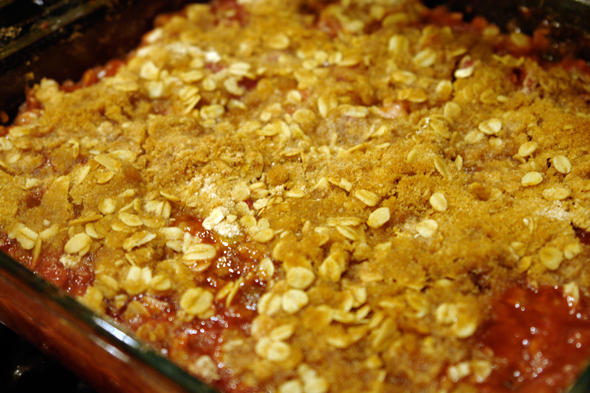 As you might have seen from my weekly meal plan post the other night, I made Strawberry Rhubarb Crisp for dessert tonight. 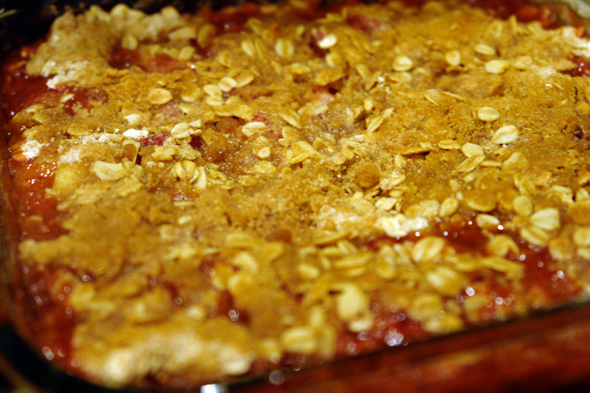 My husband wanted to try it and when I saw the fresh local rhubarb at the Lexington Co-Op the other day, I felt like it would be a great way to bring in the warm summer weather we’ve been having! 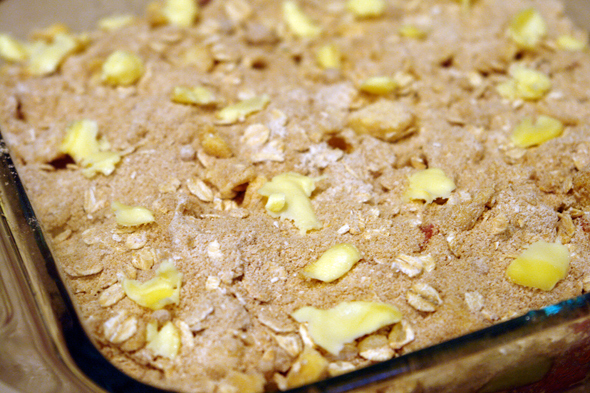 Mix fruit and honey together thoroughly and place in an 8”x8” ungreased pan. 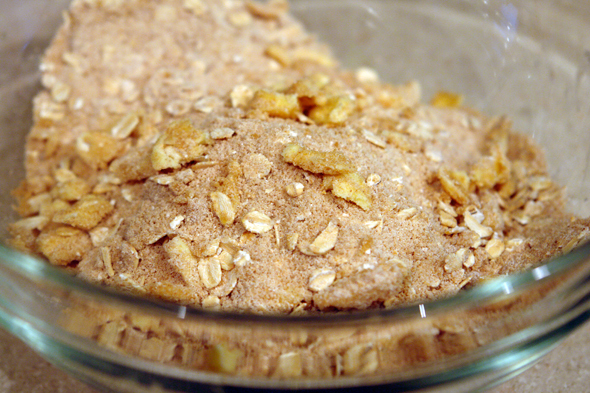 Mix all other ingredients (besides 1 tablespoon for the final topping) until crumbly. Bake at 350° for 40 to 50 minutes, until golden. 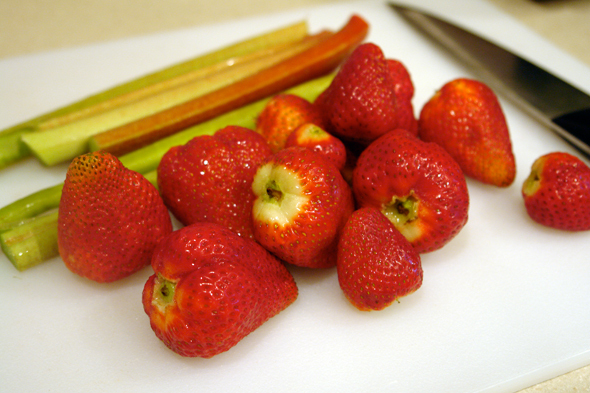 Serve topped with vanilla ice cream or fresh whipped cream, if you please. Simple ingredients with plenty of flavor and ridiculously easy directions — what could be better in a summer dessert? 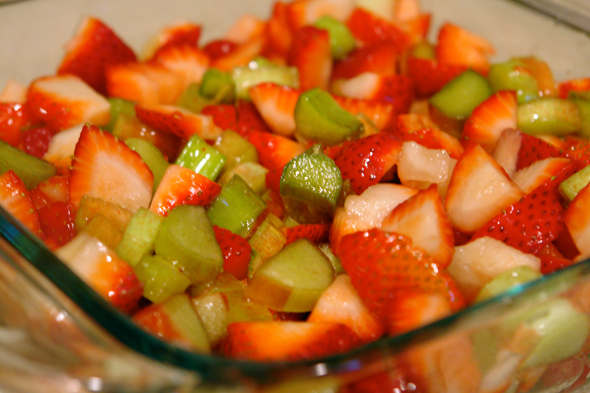 If I’m going to turn my oven on when it’s hot out, I want it to taste like this. 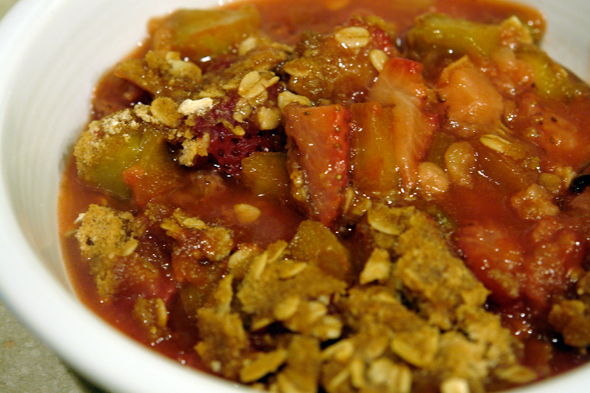 The tangy rhubarb and sweet strawberries make a combination that’s a favorite of many, and now I see why. It’s perfectly summer.